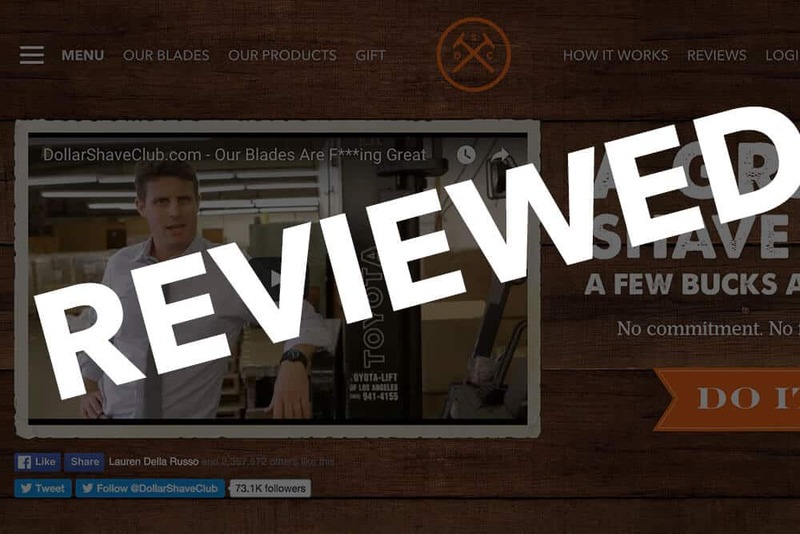 Review of the Dollar Shave Club – What Are You Paying For? There is no doubt about it razors are expensive. 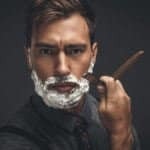 In order to save any sort of money with your morning shave you have a couple of options – opt for the expensive heavily marketed cartridge razors, use a double edge safety razor, or lastly opt for a electric shaver. Each one of the options come with their own advantages and disadvantages. For the heavily marketed cartridge razors, you are paying top dollar for these and throw them away at the end of every month. In fact a refill of just 4 blades for one of the most popular brands will set you back at about $18 a pop! This is basically the Dollar Shave Clubs bread and butter. While I do have a general disdain for cartridge razors, most of that is due to simply the price that comes with it. Personally I do use a cartridge razor on a weekly basis as I completely shave my head bald. The pure beauty of using a cartridge razor is that you really have to try to nick yourself while shaving – it really is pretty hard. 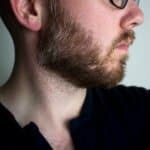 This is why I use it for my head – using a double edge razor would be incredibly difficult and an electric shaver increases the likelihood of ingrown hairs. The benefit of the traditional cartridge razor doesn’t end there. If you are going away on a business trip (or any trip for that manner), you can easily toss your cartridge razor in your carry on and not have to worry about any problems with security. Same goes for an electric shaver as well. On the flip side, with a double edge safety razor, the razor blades are not allowed on a plane at all. Therefore you would have to check your luggage. Sure this is a minor instance for only a few guys, but its definitely worth calling it out. Another great advantage of the cartridge based razor is that you can typically get a morning shave completed in about less than 5 minutes. Being that the blades are pretty forgiving as mentioned earlier, you don’t have to worry so much about your technique and potential nicks along the way. When it comes to shaving at a cost efficient price, it simply doesn’t get any cheaper than your standard double edge safety razor. In fact the double edge safety razor has been around for years and have started to see quite a resurgence among men. First off the double edge razor does indeed provide a really close shave, even though it is only using one blade to cut through the hairs. 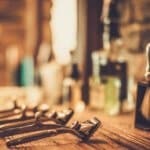 If you have sensitive skin, or suffer from extreme razor burn, a double edge safety razor could be a godsend, as it does a terrific job at cutting your hair in as few passes across your face as possible. 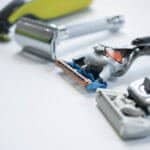 Think of it this way, if a cartridge razor has 5 blades and a double edge safety razor only has 1, for every one pass with a cartridge razor equals 5 passes with double edge safety razor! The razor blades used in a double edge safety razor are insanely sharp, and being so sharp you open yourself up to nicks. It’s not at all as forgiving as its cartridge counterpart. So when you are first learning a double edge razor, you will be nicking yourself quite a bit, therefore a styptic pencil will be your best friend along with an aftershave (preferably witch hazel/aloe based). In addition to nicks, a big play into the traditional wet shaving world is making sure that you use a high quality shaving cream. Something along the lines of Proraso or Taylor of Old Bond Street will be what you would want to look for in regarding a high quality shave cream. 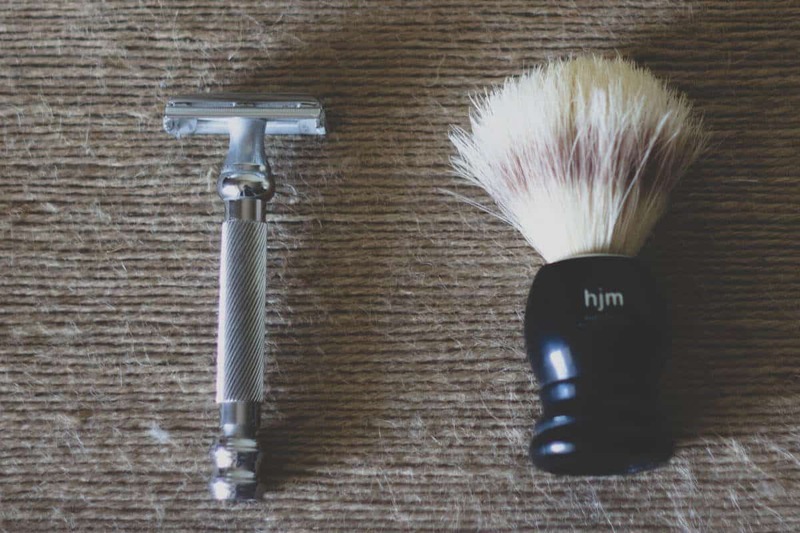 With a cartridge razor, shave creams are important, but not as important if you were using a double edge safety razor instead. Lastly when it comes to shaving, an electric shaver does indeed have a very important place in the men’s grooming world. Often scoffed at by the traditionalist that use their double edge safety razor, electric shavers are without a doubt simply convenient. There are no other shaving products that can provide a shave as quick as an electric shaver. 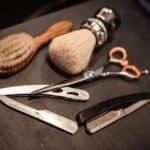 With advancements along with electric shavers over the years, they have gotten much better about providing a closer shave and some of them have the self cleaning systems that really help to reduce any sort of skin irritation in general. Of course when it comes to electric shavers, the biggest barrier to purchasing a high quality one is the cost. Some high quality shavers can cost a few hundred dollars. You wouldn’t realize any savings using one of these until a few years down the road when compared to other shaving alternatives. 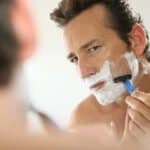 Simply put electric shavers are a great long term investment, but you really have to stick with it in order to save money. Being that we outlined the different types of ways to shave off that mane, lets take a look at Dollar Shave Club. A relative new comer to the shaving world, they have shaken the market up considerably! In fact, in 2015, they had a lawsuit come against the Dollar Shave Club for patent infringement by P&G (owner of Gillette). With it seeming that subscription services are popping up every day, even for beards – its sometimes challenging to see if something like dollar shave club is worth it – besides – who likes just throwing away money anyways and hoping its not wasted? For $1 a month you can get a baseline cartridge razor (2 bladed) sent to your door plus $2 shipping and handling. That’s definitely a rock bottom price that you simply cannot match anywhere else. In fact even a double edge safety razor might have a hard time competing with it on a price front! Naturally however, Dollar Shave Club does offer other packages as well – they have a 4 bladed and even 6 bladed cartridge razor, with their prices set at $6 and $9 respectively (neither at the time of writing charge extra for shipping and handling either). When compared to the other alternatives listed above – from a cost perspective definitely makes Dollar Shave Club worth it on that front, needless to say, lets dive deeper into the review of them as well! Dollar Shave Club is great in that you get razors shipped to your door like clock work. Every month you have a brand new set of razor blades to use and they will work terrific for your face, chest, or any other part of your body. In fact they don’t necessarily need to be gender specific either – a blade is a blade after all. The single biggest advantage you are paying for with Dollar Shave Club (while still a fraction to the heavily marketed cartridge razors from the big boys out there) is going to be convenience. Sure you could buy razor blades in bulk and have them sitting around – but Dollar Shave Club is like clock work and no need to worry about storage. Not only do they offer incredibly cheap cartridge razors, but they also have other great add-ons as well that are definitely worth checking out (specifically their shave butter and post shave cream). Making sure you have all the right products in order will ensure you get the absolute most comfortable shave with little to no skin irritation. 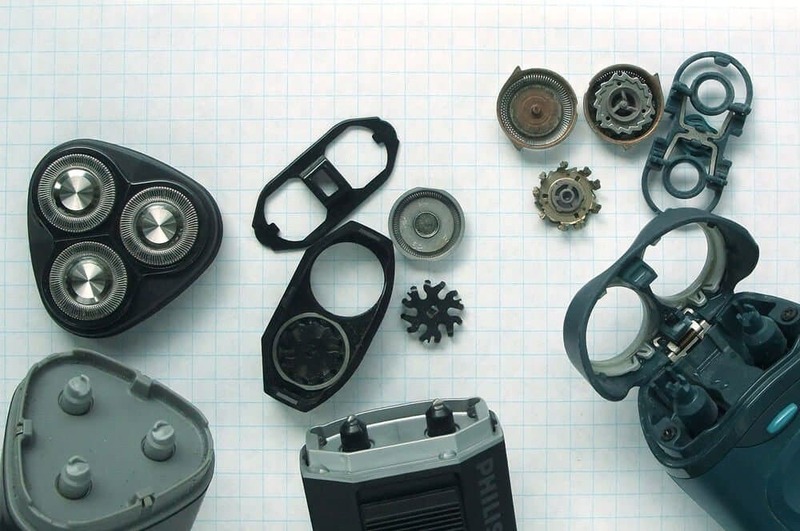 Let’s not forget the most important part – the blades. When you are paying a fraction of the price of what you normally were paying prior to Dollar Shave Club, you are going to think that you are also going to get a fraction of the performance right? One of the beauties of Dollar Shave Club is that you are not tied down to a minimum order quanity or time commitment. In fact if you just get the cheapest plan ($1 + $2 S&H) you are only out $3 total for testing out their product. Therefore there is zero risk to give the program a shot and see how it works out – you really can’t go wrong there! This leads us to the root of the article – is Dollar Shave Club worth it? The evidence speaks for itself – YES! 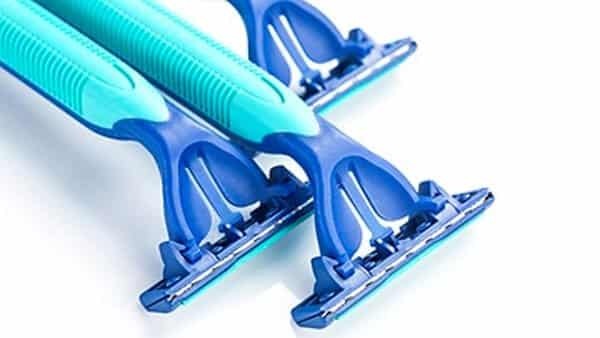 With rock bottom prices on razors that perform just as good as the most hotly marketed competitors, it doesn’t seem that users can go wrong on any front. 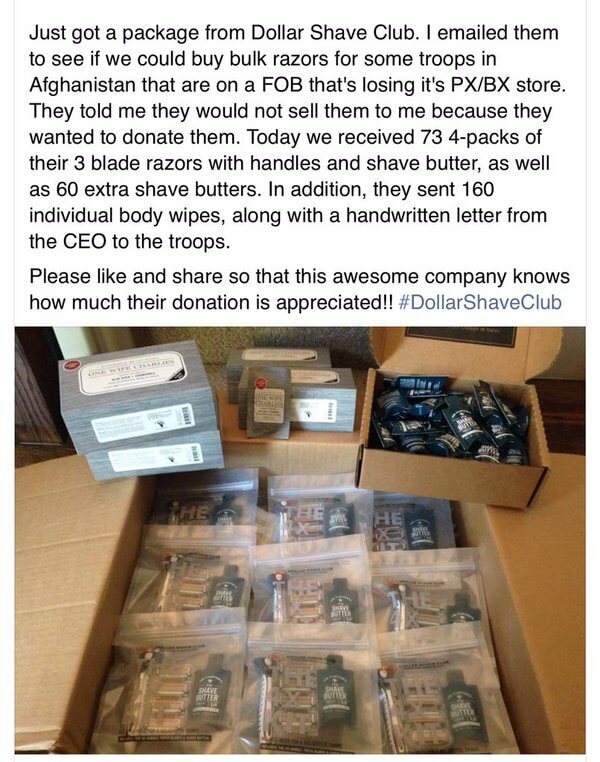 That is just downright awesome and a decent thing for Dollar Shave Club to do! 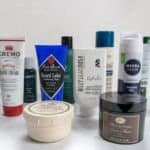 Outside of blades (which was the large basis for this review) Dollar Shave Club offers a other great products for men as well including personal wipes, hair styling agents, and shaving creams, butter, lather, etc. All-in-all Dollar Shave Club is definitely worth a try – with its high quality cartridge razors and open policy of canceling any time, there is absolutely no risk to you to give it a shot for a single month or several months. These guys are the real deal when it comes to cartridge razors at an affordable price. 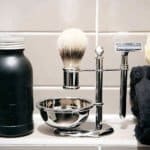 They also serve a great market for men who aren’t looking to spend a lot of money on cartridge razors or electric shavers, but don’t want to spend the time wet shaving with a double edge safety razor.